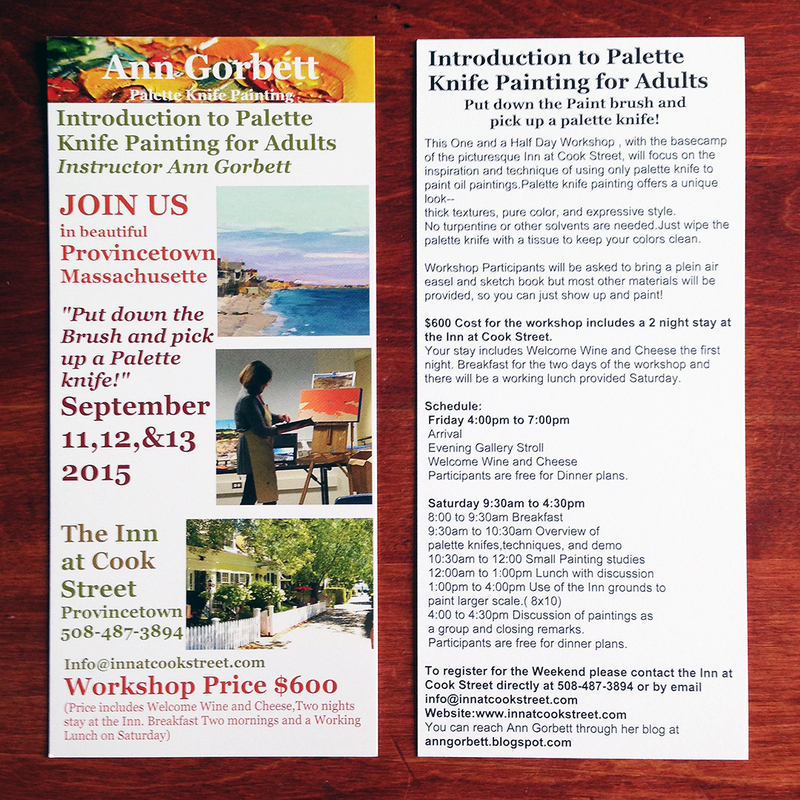 I am thrilled to announce my upcoming palette knife workshop to take place at the picturesque Inn at Cook Street in Provincetown on Cape Cod. 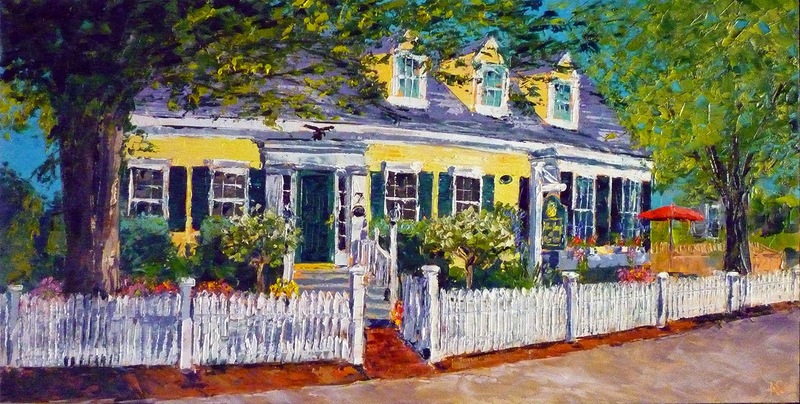 The workshop will take place the weekend of Sept 11 which is a lovely time to be on the cape. John Jay and Patrick, the owners of the inn, put together this great rack card to promote the workshop. I am excited to be the first artist to be asked to conduct a workshop as they hope to continue promoting art workshops at their inn for years to come. If you want to check out more photos of what this beautiful place looks like, here are links to their website The Inn at Cook Street and their Facebook page. 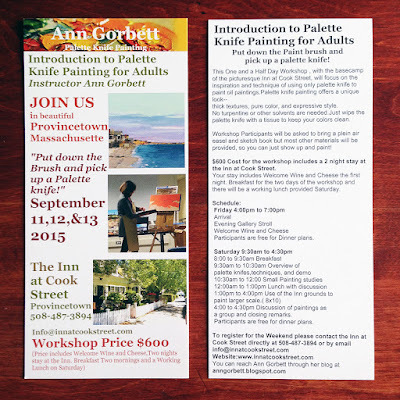 For more information or to reserve your spot, call 508-487-3894.